Growing Together in Christ as we Reach Out and Serve Others. 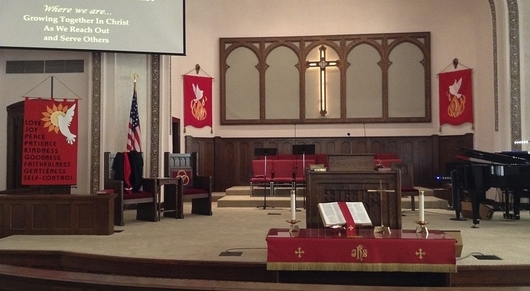 FUMC Okmulgee is a church with over 100 years of ministry in downtown Okmulgee. While we are proud of our heritage, we are continually seeking to become the church God has called us to be now! Through this website you will discover many of our ministries...but to truly get a sense of who we are, I invite you to join us for worship on any Sunday. We offer two distinct services to help people worship in the manner suited to their preference. 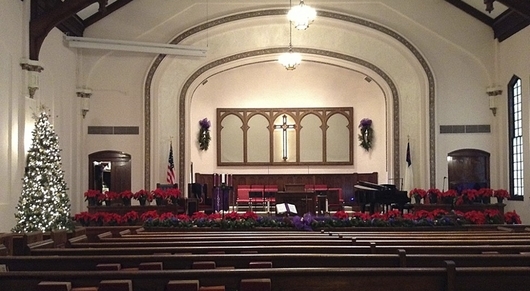 At 9am we worship in the in the sanctuary and are led by the choir, piano, and organ. 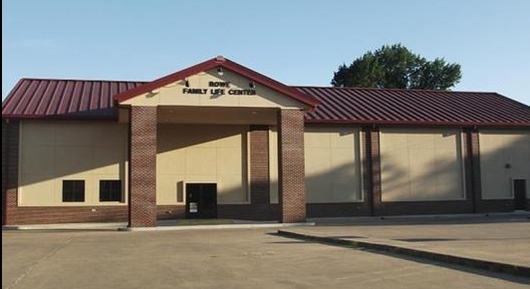 At 11am we worship in the Rowe Family Life Center and are led by our Praise Band. Relevant, biblical messages are preached in both services. If you are looking for a church to call home, we invite you to come join the family of God that meets at FUMC Okmulgee! 9am - Worship in the Sanctuary.